I continue to love designing and making hats - they're satisfying on so many levels. They involve just enough shaping to play with interesting motifs or techniques and take just long enough to feel substantial without being a major commitment. They're a great canvas for colorwork or cables and a great way to show off that special yarn. Aside from all of those things, I think that they can really make an outfit. That said, a good little mix of hat designs made their way into this collection - each with their own technique, flavor and fiber. Garter stitch anyone? I had to get it in there somewhere. Quincy is a hat with a bit of a jaunty twist... literally. I was surprised after I finished it to learn that it can be worn in three rather different styles: (1) twist in the front, for an updated flapper-like style, (2) twist on the side (my personal favorite) for what I like to call the Urban Robin Hood, or thirdly (3) twist in the back - which makes for a more traditional looking beanie from the front and sports a hidden detail behind - its got that whole business-in-the-front-party-in-the-back thing going for it. Quincy is put together in a non-traditional way and is deceptively simple! It also employs one of my favorite techniques: built-in I-cord - worked on both edges of the sideways garter stitch portion to make a piping-like border. Ariosa is a lightly spun, almost-roving-like merino cashmere blend. 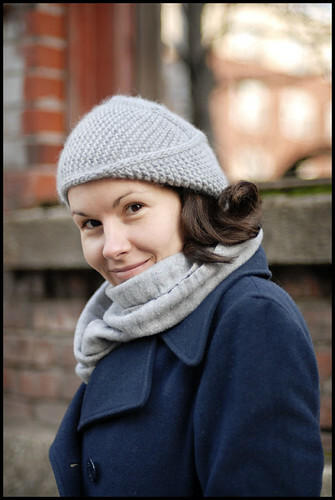 Super light and warm which makes the chunky hat disarmingly weightless. Laurel was a response to a lot of Japanese knitwear that I was (slash am always) looking at. 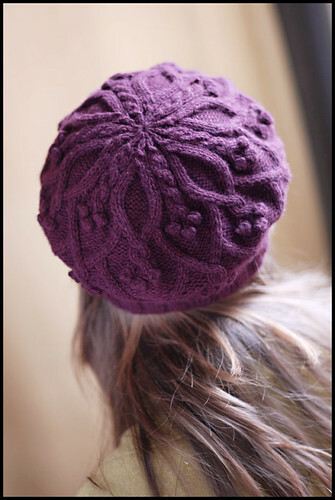 I love how cables and bobbles can be executed unapologetically but with restraint and control - one of my favorite things about Japanese knitting in general, and something that serves as consistent inspiration for me. It's all about details. 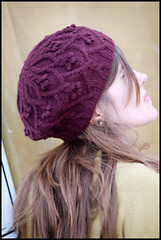 The hat motifs remind me of vines and berries and are sure to add a bit of whimsy to any ensemble. For the beret-shape, I blocked the hat over a kitchen plate, approximately 10" in diameter. Cardboard circles work great as well. 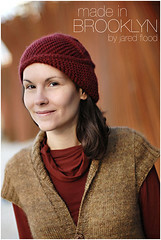 For a less flared shape the hat can also be blocked without this form to have a more beanie-like silhouette. Don't you love what a little angora can do to colorwork? Smokey! 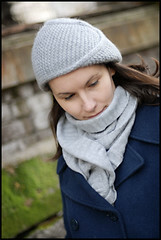 The hat comes in two versions: A traditional tam worked in 2-colors, and a 4-color beanie in shades of grey. You'll notice that the beanie-version shown has a bit more of a halo than the other... that's because I wore it for about 4 months before I decided it could also be included in the collection. Oops! I had originally just planned on the Tam having the spotlight but then I figured I'd throw in the greys for good measure. I hope you enjoy these toppers - stay tuned for more pattern profiling this week! Quincy is so fun... I hope I can manage those built-in i-cords. Laurel is like the royalty of the rats. Perfect color, shape remembers me a crow. Amazingly gorgeous, and so festive! These are all gorgeous, and congratulations on your book - I and everyone else is very excited to view these patterns!! Beautiful! I can't wait to see your profile post about the shawl patterns. I also can't wait till the whole booklet is for sale! I love Quincy! What a great piece that will be for handspun yarn, maybe even energized singles? Congratulations on the book. Can't wait to get started on Quincy - it's fantastic! & possess a copy of your first book! I'm with you on hats. They are my go-to project for any sort of knitting slump. Yours are all gorgeous! 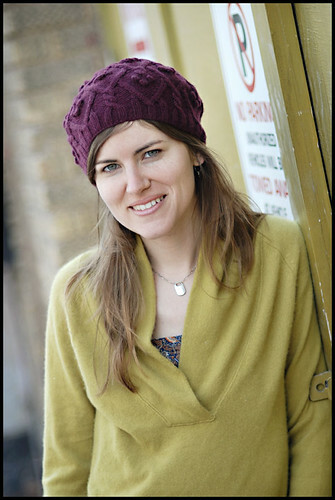 I love all of these hats, even Quincy despite being in recovery from a garter stitch binge! I wonder if I have something appropriate in my stash. I adore Quincy to no end. 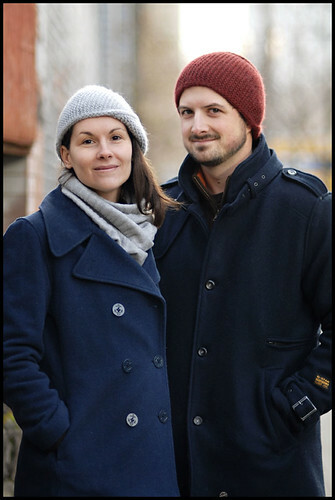 The Beaumont Beanie speaks to me as well. Your knitting is incredible. I will buy your book. Knit on! Simply amazing and so very beautiful! I especially love your pattern, Laurel ~ gorgeous! i completely agree with your attitude towards hats. i couldn't have said it better myself - can-t wait to see more. im in love! Ooooh, I love the grey Beaumont! 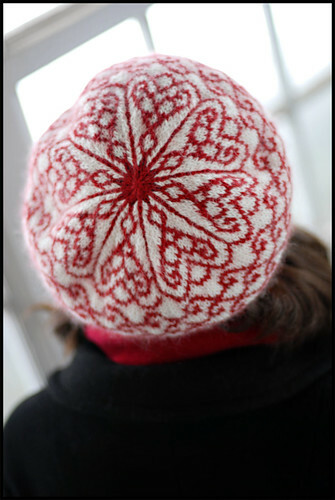 Who can dread winter if you have one of these beautiful hats! I have never commented on your blog before but I just had to say how much I have enjoyed seeing your work over the years. I am so amazed by what you have accomplished as an independent artist and creator, and so very glad you chose to do so. I have several of your patterns waiting to be knit if I just get the time, and each one has a simple elegance that seems to be your hallmark. From someone you don't know and will never meet, well done and good fortune. These are just fabulous! I have your book on hold, and I can't wait to pick it up! 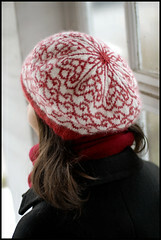 Yes, the Japanese thing - I always drool over the photos at Ravelry but I'm not sure I'm able to imitate that style yet. Your hats are lovely and each is so different. I'm sure you'll see a lot of them in NY streets soon! Love, love Laurel. You're a rare talent for sure!!! I can't wait to give Quincy a closer look! Even from your description I'm not quite sure how it's made and the ways in which it can be worn, so I'll have to check it out. The tam version of Beaumont Twins is another fave of mine! I love your designs and would love to preorder your booklet, but is there a source where the shipping (to Canada) is NOT the same or more than the booklet itself? I am truly amazed by this set of patterns, each is more gorgeous than the last. What a wonderful talent you are, I will definitely be ordering this! I generally don't like knitted hats. But I must state the the hats I seen here are fantastic. Quincy is just superb! Quincy hat help!! 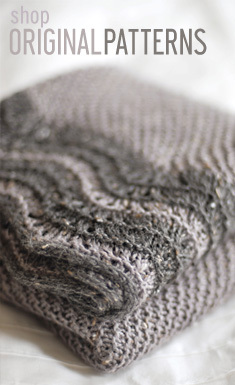 how do you make the i-cord look seamless after you join the garter using the kitchner stitch. The book does not explain how to do this. (3) i-cord on each end need to be woven together??? Please help!